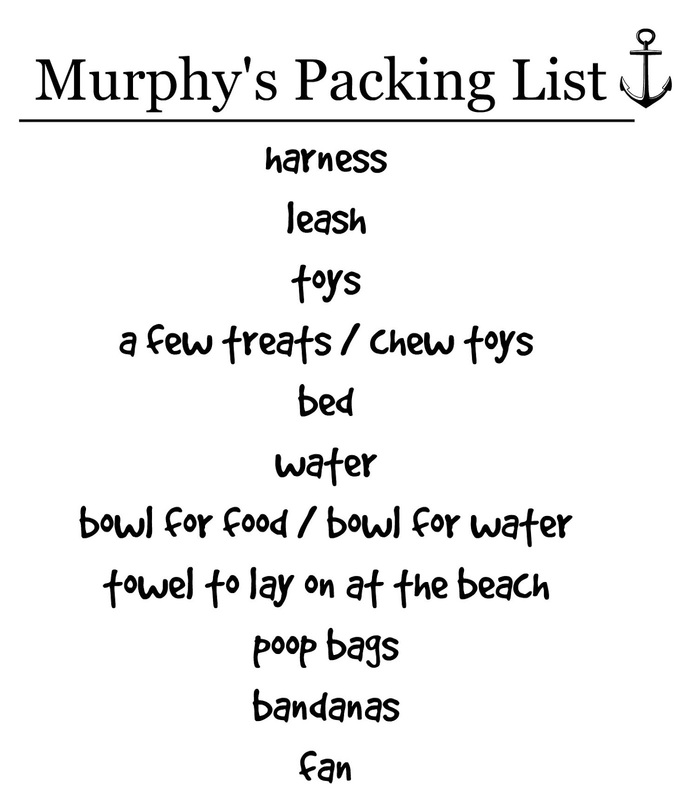 You might think by the title of this post that we are sending Murphy away...however, that's not quite the case. He's packing his bags, but just to go on vacation. Side note, sorry not sorry for talking about my dog like he's a human. 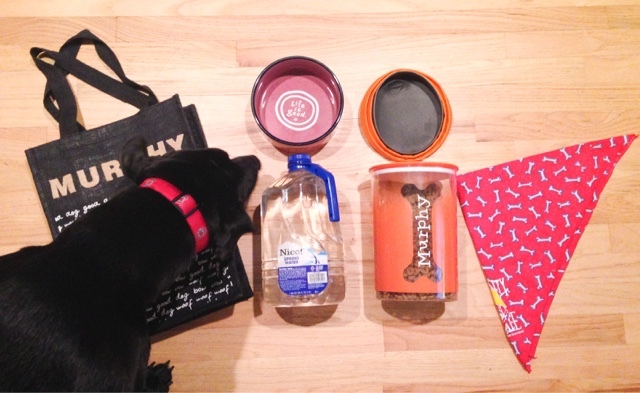 In addition to the items in this bag ,we'll have his harness and leash, bed, his blanket and a few toys. We're probably packing a few more toys than necessary, but because it's his first time away from home, we're hoping having a lot of his stuff around will prevent him from tearing up anything in the condo and us getting a hefty fine for damage. You hear that Murph? DON'T TEAR UP ANYTHING. I'm really curious to see how he does on the ride down. We're lucky in that we only have about an hour and a half drive, but I just hope he decides to sit or lay at some point on the trip, rather than trying to claw his way into the front seat and stick his face directly in front of the air vents. A few months ago we bought a seat protector and barrier for the backseat that does it relatively good job of keeping him in the back...until we're riding down the road and I see a paw come flying by my face and look over to see Murphy pouncing over the barrier onto the middle console, and looking over at me like "Hey Mom! Oh, what? I'm not supposed to be up here? But I just thought that...ok, fine, I'll get in the back." 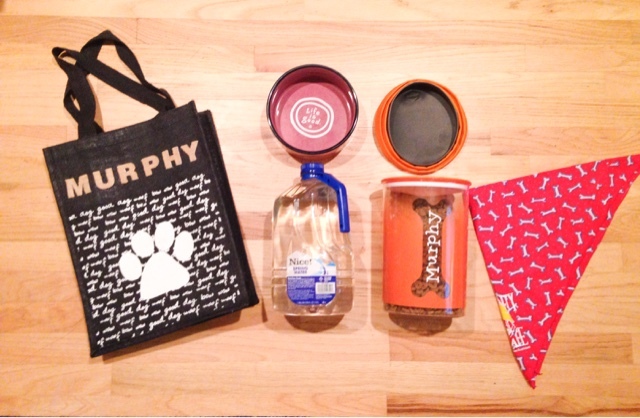 Did we leave anything out of Murphy's bag that is a must have for your pet when you travel? I'd love to hear your thoughts and tips! Not listed above, but will be in our suitcase is a flash light, for any late night potty runs we may have to take him outside for. 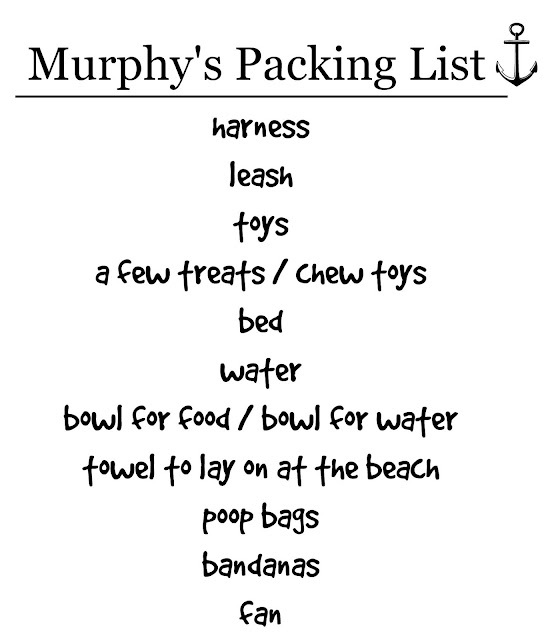 Here's to hoping we have a great anniversary trip with Murphy in tow, and that he loves his first trip to the beach. I'll keep you posted on his review ;) He also had to do a thorough check of his bag to make sure I didn't forget anything.